At least one company learned something about PR and reputation from the United Airlines fiasco earlier this month. Over the weekend, Twitter and Facebook lit up with smartphone videos of a fresh instance of passenger distress on an airplane. This time it was a scuffle between an American Airlines flight attendant and a passenger who had tried to put a stroller in the overhead compartment. Apparently the attendant pulled the stroller from the woman’s grasp, striking her and narrowly missing her child. The videos of the American flight captured only the aftermath of stroller-gate, and they didn’t match the disturbing pictures of Dr. David Dao being pulled screaming from his seat. 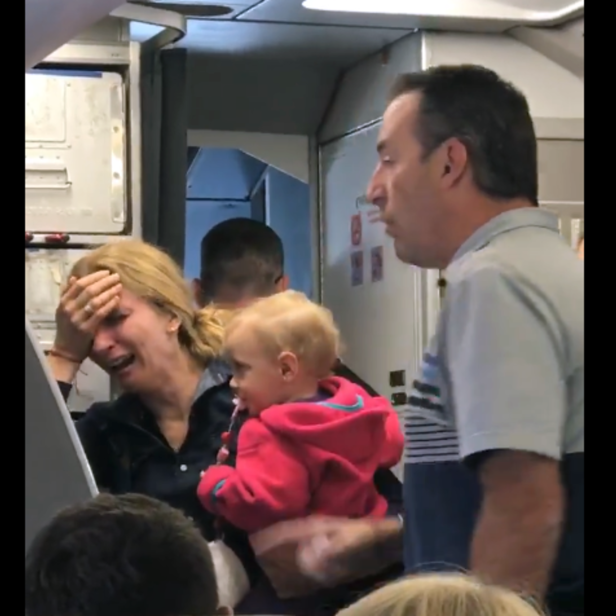 But most of the images, which quickly went viral, showed a deeply distressed mother of twin toddlers, sobbing openly, as the flight attendant shouts down another passenger who comes to her aid. It’s not a good look for American, yet the outcome in this case was very different from that of the United incident. And here’s why: American posted a statement on its website within hours of the altercation. Although it notes that it is investigating the situation, the statement conveys empathy for the female passenger and reports that preliminary steps have already been taken. The statement also includes a carefully crafted and sincere-sounding apology to the woman affected. Unlike the mealy-mouthed mea culpas that often result from such incidents (for fear of litigation), it emphasizes that the passenger was wronged, and that some kind of rectification has already been attempted. We learn that the woman and her family had been put on another flight to their destination and upgraded for their trouble. The message here is clear – despite the fact that the airline’s rules state that only collapsible strollers can go on their planes and that they must be checked at the gate, American doesn’t try to hide behind a legalistic response. It knows that it doesn’t matter if the passenger was technically in the wrong; what matters is that a mother of small children is sobbing because of the actions of an airline employee, who is recorded shouting at another passenger. Unlike the initial response from United to its crisis, the communications team at American shows awareness that public sympathy would naturally be with the passenger, and that a quick, clear, and apologetic response to the situation was essential to controlling the social and traditional media coverage. And of course American had the advantage of learning from the United fiasco. Other companies, both within and outside of the airline industry, should take note. This is how it’s done.